UP State Entrance Examination (UPSEE) 2019 admit card has been released by Dr APJ Abdul Kalam Technical University (AKTU) on today, April 15, 2019. 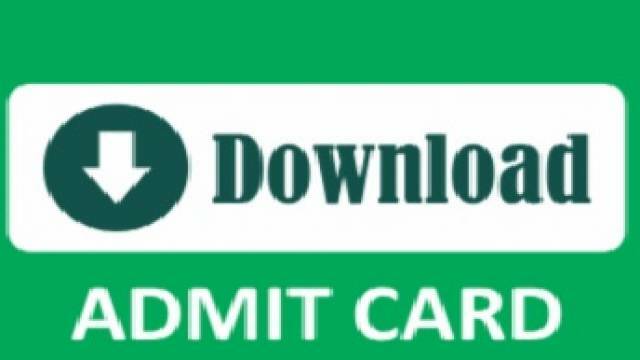 The candidates who have applied to appear for the UPSEE 2019 entrance exam can download the admit card from the official website, upsee.nic.in. The exam is scheduled to be conducted on April 21st, 2019. The UPSEE 2019 result is expected to be released in the last week of May 2019. UP State Entrance Examination (UPSEE) 2019 admit card has been released by Dr APJ Abdul Kalam Technical University (AKTU) on today, April 15, 2019. The candidates who have applied to appear for the UPSEE 2019 entrance exam can download the admit card from the official website, upsee.nic.in. The exam is scheduled to be conducted on April 21st, 2019. The UPSEE 2019 result is expected to be released in the last week of May 2019. The application process for the UPSEE 2019 entrance examination was conducted from 23rd January 2019 and concluded on 15th March 2019. Now the admit card has been released for the same. The candidates having Hall Ticket will be allowed to appear for the examination. If you are one of those candidates who have applied for the exam should follow the steps mentioned below to download the Admit Card from the official website. Click on the admit card link of the relevant exam on the home page. Enter the required log-in details and click on submit button. UPSEE is an entrance test conducted every year for admissions to the first year in UP state's colleges for Bachelor’s and Master’s degree in BTech/ BArch/ BDes/ BPharm/ BHMCT/ BFAD/ BFA/ MBA/ MBA(Integrated) / MCA/ MCA (Integrated). There is provision for lateral entry to 2nd Year of BTech/ BPharm/ MCA as well via this test conducted for all the colleges and universities in the state of Uttar Pradesh. The entrance examination for degree level engineering institutions and other professional colleges has been assigned to Dr A.P.J. Abdul Kalam Technical University Uttar Pradesh.